Flowering Date Early-midseason, two varieties rebloom. 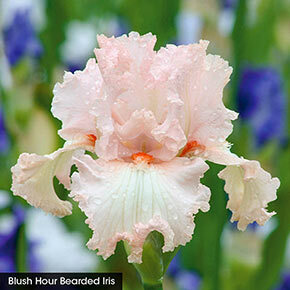 When it comes to iris, it's always our pink varieties that sell out in a flash. You asked and we heard. 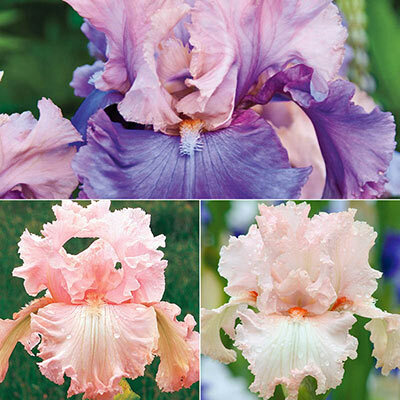 We searched high and low for the very best pink iris we could find, and created a value collection that'll save you up to 36% over buying them each individually. 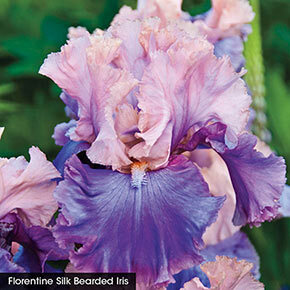 Eye Candy is an award winner that's specially bred to catch attention in the front border. Pink Attraction produces an abundance of perfectly formed blooms in midspring, and then reblooms in late summer. Fashionista adds stylish bicolor blooms to the collection, its broad falls flaring out impressively under pretty pastel standards. Flowering Date: Early-midseason, two varieties rebloom. 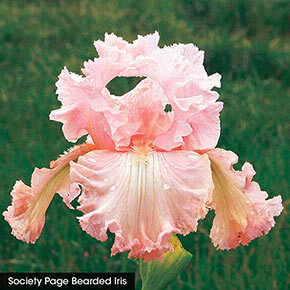 Flower Form: Typical iris-like in various shades of pink.